NFL players' salaries are not typically tied to specific wins or losses, but on Sunday, when Baltimore hosts Cleveland, Ravens safety Eric Weddle can pocket a seven-figure bonus with a win over the Browns. Thanks to a contractual clause, Weddle will earn a $1 million bonus if he's named to the Pro Bowl in the same season that the Ravens reach the postseason. And since the 12-year veteran was named to his sixth Pro Bowl earlier this month, Weddle only needs to punch his playoff ticket. The 9-6 Ravens are nearly guaranteed a playoff spot regardless of Sunday's outcome, but a win over Cleveland in the season finale would make it official. 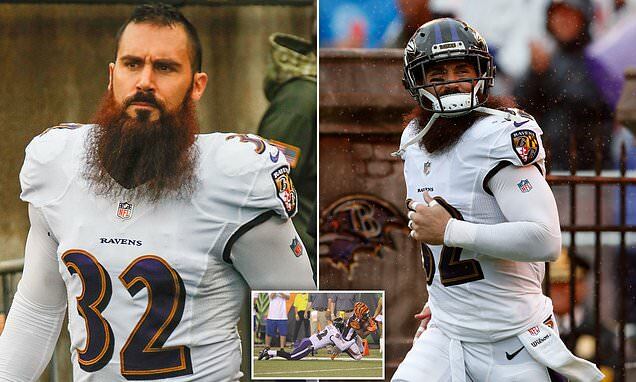 Over NFL career, Weddle has earned $63 million. He's signed through the 2019 season, when he is slated to earn $6.5 million.